And during those first couple weeks, when boxes were still in the unpacking and Francophone grocery stores still scurred me a bit, I got into the habit of doing something that I chafe to admit to you good people... I made a lot of Ghetto Juleps. But honestly, I never cracked the seal on that bottle until Montreal, until just last month. I finally did that because I felt like a julep but didn't have any fresh mint in the house, and I didn't know the exact-right way to ask for some at the store. Avez-vous menthe? Avez-vous la menthe? De la menthe? Some days here I get exhausted debating prepositions in my head. So yes, I used the mixer. I made a Ghetto Julep, and it was so good I started making many of them. 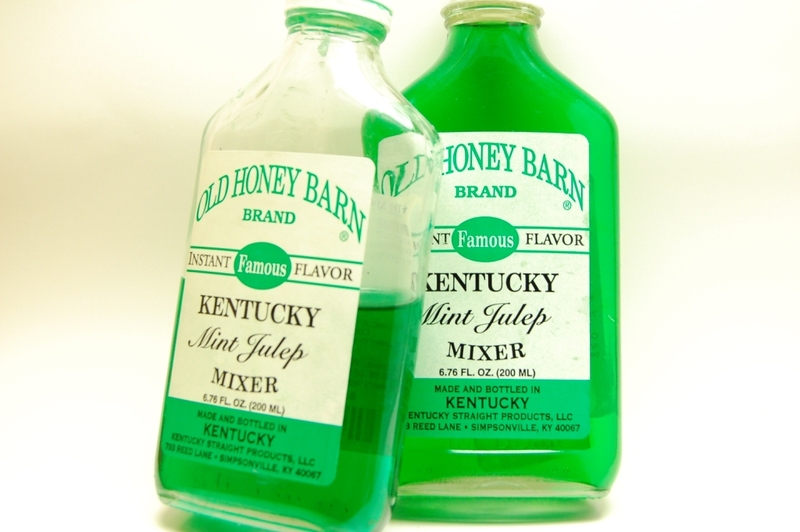 If we can no longer be friends, I understand, but I must own up and repeat once more: Ghetto Juleps are yummy! They're fun the way a Big Mac or Gummi Bears are fun. They are the Legally Blonde of juleps -- dumb and silly and oh goodie look what's on TBS! I won't tell anyone if you make one. Pour mint julep mixer into bottom of highball glass. Top with ice cubes that you have not bothered to crush. Pour in bourbon. Stir the shame and guilt away briskly. I didn't specify what kind of bourbon to use in your Ghetto Julep. I mean, honestly, does it really matter? Screw it, make yourself a bourbon blend right there in your highball.